So far this site has at least 50 keywords in the top 50 of Google UK (10+ in the top 20), so the foundations for good long term SEO performance are in place, this case study will explain how this is done. 1. Keywords research: We discussed with the client and researched via the Google Keyword planner. 2. We decided which pages of the website to optimise for each group of keywords, as well as decide which new location specific pages needed to be added. The new pages were then written and added to the website. 3. Keyword mention competitor analysis: Some look at keyword mentions as a %, others advise adding 4 or 5 per page, we prefer to look at it in terms of what is working in the Google search results. For example, some keyword searches show only 2 – 3 keyword mentions ranking well, whilst others have as many as 20 – 30! The challenge of on page SEO, is ensuring sufficient keyword mentions can be added to the page whilst ensuring it still reads well. This gets particularly difficult when over 10 mentions are required.  Search on a browser, with non-personalised results, with the search settings to the country, city or town you want to rank well for. Then use find in the browser to count how many visible mentions the well ranked sites have for individual keywords & phrases. Some websites add extra location mentions as part of a sentence or have variations of the same keyword phrase; London Landscaping Company, etc. Some websites also include extra keywords in commented out html text, or hidden by the same colour as the background, this can be checked by looking at the source code. Whilst this is against the google guidelines and not something we recommend, some sites get away with this and rank well. 5. Give it 30 days, then run a top 200 rank report to check on progress, then monthly thereafter. …we actually find it quicker & easier to check manually ourselves. Moz.com have an excellent top 50 result SEO rank checker, this is a paid service. The Firefox rank checker is free and scans the top 200 results. We hope you have found this blog post useful, if you would like to discuss how SEO & internet marketing can help your website, please contact us today.